Few films are as dark and unforgiving as Who Can Kill A Child? Sadly unknown, one of those films that falls behind the dresser, cherished by the dust and those that know it’s there, but forgotten, overlooked and ignored by all the rest. A Spanish production but the two main characters are native English speakers, a Aussie and an English woman, so while the locals they encounter on their, supposedly, relaxed Spanish holiday speak, well Spanish, the majority of the film is spoken English. In and of itself an oddity. A slow burner, but like the warmest of fires, it may take a while to get there, but once it’s there… it’s a scorcher! 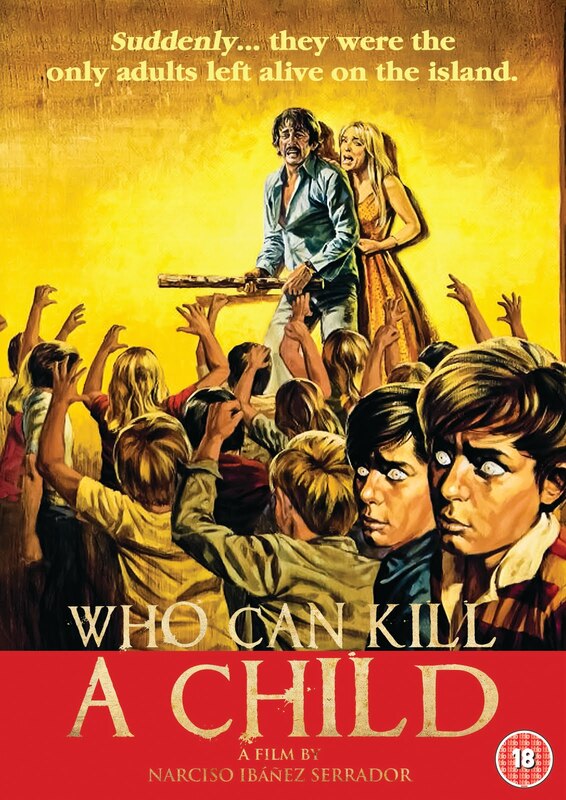 Unreleased in the digital age until 2007 and again in 2010, both fairly limitedly and quietly, building a vocal and passionate fanbase, Who Can Kill a Child is now due to be released fully uncut in the UK from Eureka on 23rd May. But you can see it with us, for the first time fully uncut in the UK on the 14th May at the Rio Cinema. This entry was posted in Coming Soon, In Theatres, Next up. Bookmark the permalink. ← East End Film Festival starts smoking.